Join us for our 27th year of outstanding youth football! No tryouts or cuts. Everyone makes the team and everyone plays! From our instructional level for the youngest players, to the highly competitive team for our oldest participants, our program is designed to ensure that every child who meets the age requirements has a team they can safely participate on - no matter their size, ability or experience. By placing emphasis on teaching the fundamentals of the game, and using the latest Heads Up Football approved techniques, we are at the forefront in helping our young athletes reach their full potential. 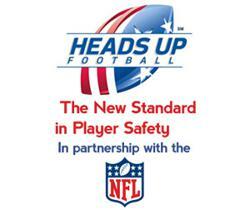 All Oriole Park Falcon football coaches are certified through USA FOOTBALL - Football's National Governing Body - which has implemented the Heads Up Football initiative to make our sport better and safer, and to ensure a positive experience for all of our youth players. "My son played youth football, and the No. 1 thing we taught him was safety. I think Heads Up Football is tremendous. It's a critical part of our game. 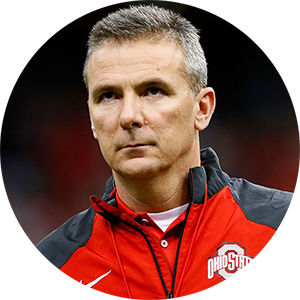 It's something we take very serious as college coaches, and I obviously take very serious as a dad of a child playing football." ©2019 Oriole Park Falcons / SportsEngine. All Rights Reserved.